We are thrilled to announce that our wines won eight medals at the 2018 San Francisco Chronicle Wine Competition. We are incredibly proud not only to be recognized—but to have the breadth and variety of our wines recognized. We love making all kinds of wines, creating new, innovative blends, and adding our spin to classic varietals. It’s wonderful that folks are enjoying and appreciating what we do. 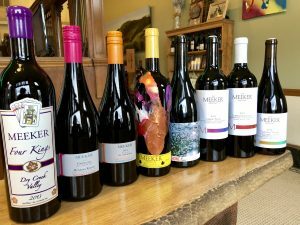 Interested in trying one or all of these wines? Stop by the tasting room, buy them online, or give us a call if you have questions.